Luxurious yet Budget-friendly hotel with well-styled and elegant rooms. 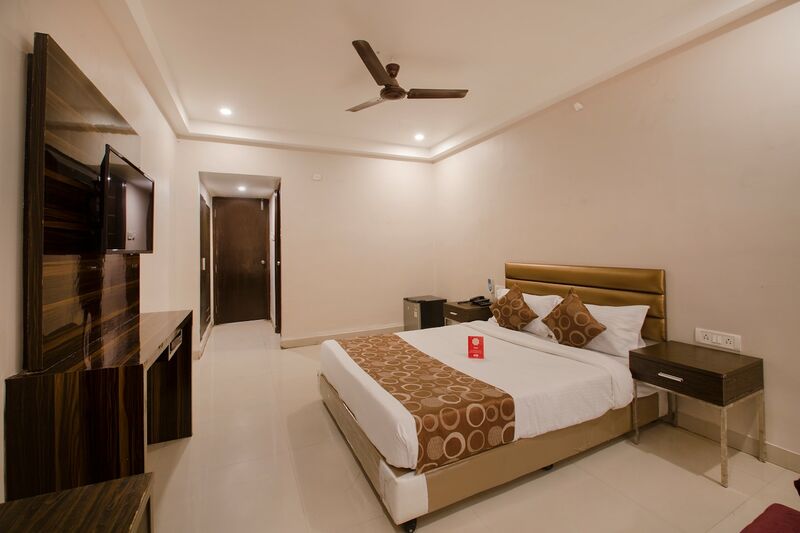 Hotel Skyhy is a comfy and classy stay option in Himayathnagar in Hyderabad. The nearest train station is Hyderabad Deccan Railway Station, 12 minutes away and Hyderguda Bus Stop is just 5 minutes away. T S State Archaeology Museum, Birla Temple, Buddha Statue, B.M. Birla Science Museum, Shergate Palace, and more, are nearby landmarks. The spacious rooms are stylishly decorated in white and brown hues, with complementing tasteful furniture. There is a gorgeous In-house Restaurant in its premises. AC, TV, Wi-Fi and En-suite Bathroom with Geyser, Seating Area, Elevator, Parking Facility,etc. Swathi Restaurant, Madhushala Bar & Restaurant, Haiking Chinese, Ignite Restro Lounge, Sams Pizza and more are nearby eateries. For shopping, guests can visit nearby MPM and Sanali Mall.